Matchbox® Celebrates 60 Years of Unstoppable Heroic Vehicle Adventures | Mattel Inc.
EL SEGUNDO, Calif.--(BUSINESS WIRE)-- From fire trucks to dinosaurs to police cars in pursuit, Matchbox® has provided kids with unstoppable adventures and the durable vehicles and playsets to tackle them for six-decades of imaginative play. To commemorate its 60 year anniversary, Matchbox® is kicking off a three-month national campaign to honor heroes-in-training — the children who play with, and inspire, Matchbox®. 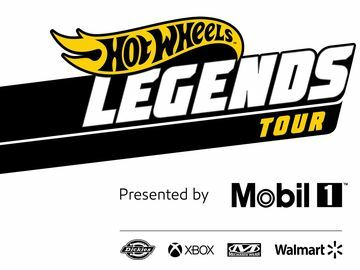 The campaign includes the Matchbox® Heroes Wanted™ Sweepstakes with a hero-sized $60,000 college scholarship and a national retail promotion for fans to purchase Matchbox® diecast vehicles for just 60 cents for a limited time at participating retailers now through March 10th. The Matchbox® Heroes Wanted™ Sweepstakes calls on parents to celebrate the heroic attributes of their children by submitting a picture and caption of their hero-in-training dressed as their favorite real-life icon. Submissions will be showcased on the Matchbox® Heroes Wanted™ Facebook gallery and are automatically entered to win the grand prize — a $60,000 college scholarship. Parents with children between three and 10 years old can enter the contest now through May 13, 2013. Sixty prize pack giveaways will be awarded weekly consisting of a Matchbox® branded gift box, a personalized photo-frame thank you card and four heroic Matchbox® vehicles. To learn more about the contest and read stories from the heroes that inspired Matchbox® vehicles, visit www.Matchbox.com/Heroes. 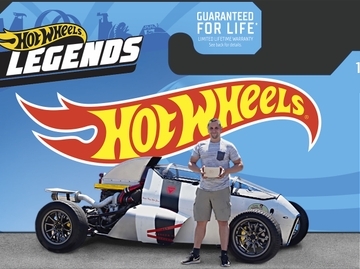 The brand is also releasing a collectible diecast line of 24 vehicles that harkens back to its roots to celebrate its 60th anniversary. Finally, fans can view the Matchbox's® 60th anniversary anthem video, which captures the spirit of the brand — unstoppable vehicles for heroic adventures — at www.Matchbox.com/Heroes.